Is Your Business Remodeling or Relocating? If you are running a growing business in Ottawa that is great and usually this means expanding or reshaping your current office space. This can be both an exciting and overwhelming process unless some proper planning is taken to ensure everything runs smoothly. Sometimes renovations can take months as well and preparing your new office space may leave you wondering where you can put your items in the meantime. 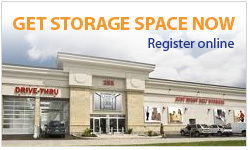 This is where self storage in Ottawa for small, medium and even large businesses comes in very handy. You can rent temporary storage space to store your business furniture, files and equipment during your renos and you may even find that the Ottawa storage locker comes in very handy to keep for your future business needs as a place to store your excess inventory or other business equipment that is not used as often. Self storage is a much cheaper alternative compared to tossing your business furniture and equipment and also provides a safe place to store your goods with climate controlled storage units to maintain proper temperatures inside your storage unit keeping your goods safe. Many businesses have been turning to self storage units for storage of documents and files that do not have to be accessed often. The good news is that you can always access your storage unit with 24/7 secure access and state of the art security keeping everything secure. Many businesses have to keep records for a long time and office space for storing such items can get quite costly when you add up the per square foot rate you are paying for your office space. So if you don’t need these items that often then this would be a great alternative for your business. These are usually things you would discover during the remodeling or renovating as you expand your growing business. You may have had space for many of these items internally before but now that you have the opportunity to reshape your office landscape you can take a look and assess your current in-house storage and how you are using it to see if your business can benefit from a storage locker rental in Ottawa. Even if your business is quite large or your equipment is big or plentiful, we have storage units of all different sizes available so that you can rest assured knowing that we can meet the growing and dynamic demands of your business. In fact, many seasonal businesses are turning to storage units in Ottawa for their seasonal inventory or even equipment such as landscapers, retail stores that have inventory prepared for the following season or left over from the previous one. Take some time to sit down with your team during the renovation process and look to overhaul your storage of items and furniture and equipment in addition to renovating your entire work space. You will be able to create a more clutter-free zone for conducting your business to take things to the next level and beyond!